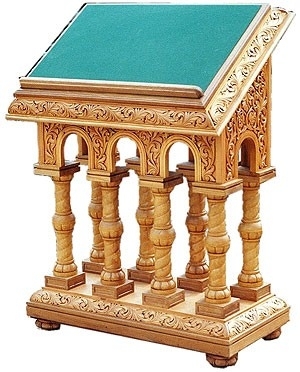 Beautiful traditional wooden carved church lectern. Solid wood, carving, polishing, laquering. Size: 17.7''x37.4''x47.2'' (45x95x120 cm).